Our training takes place over a period of 17 weeks. The 17 weeks include two classroom days per week. You will also have self-paced study, reading and homework that you will complete in the rest of the week in your own time. 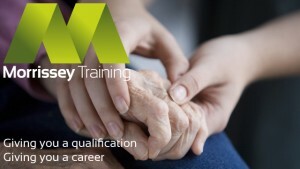 Your training also includes three weeks (120 hours) of Vocational Placement where you work in an Aged Care facility in a hands on role. Our Trainers are all Registered Nurses who have worked or are working in senior roles in the Aged Care Industry. Their knowledge is second to none. 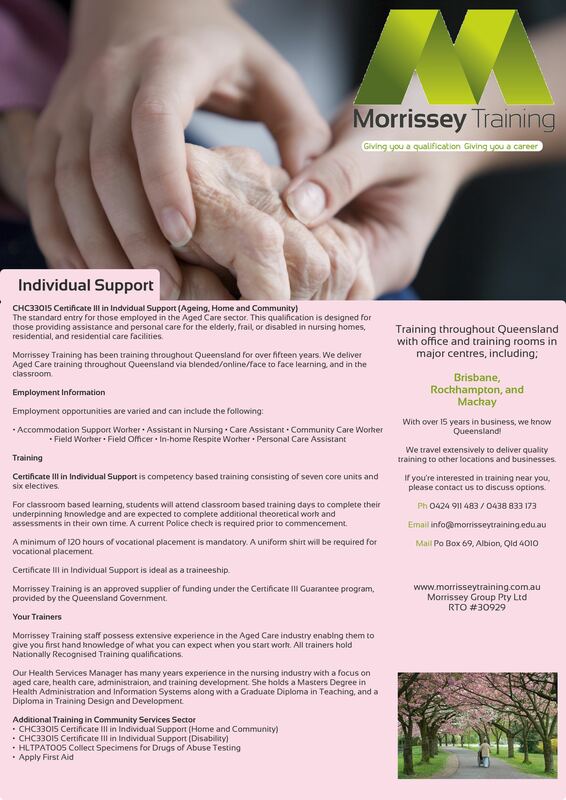 We train in our own training rooms and Aged Care facilities. Some funding is available under the Certificate 3 Guarantee Program, funded by the Queensland Government. Ring us for details or click here to see eligibility criteria. RPL is available for experienced practitioners in the Aged Care Industry. Phone us now for details on our easy RPL process. With Australia’s aging population, the provision of quality aged care services has never been more important. If you are already working in the Aged Care industry, you may be eligible for the Department of Social Services Aged Care Education and Employment Incentive.